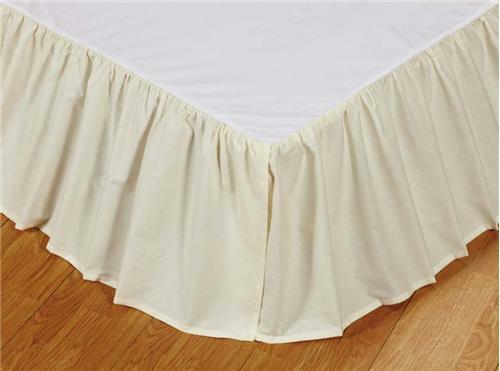 Solid cream bedskirt in 100% cotton. Platform is made of white cotton. Ruffled gathered design on 3 sides with split front corners to accommodate bed frames.